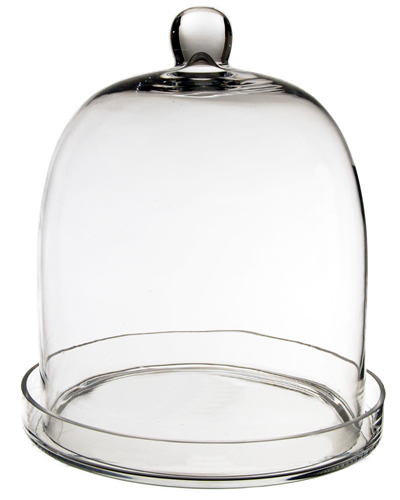 Glass Bell Cloches with Knob & Tray. H-14", Wholesale Pack of 2 pcs Discounts Apply ! Dimension: H-14", Bottom D - 9.75", Tray D - 11".